Royal Guide Dogs Australia — The Good Cause Co.
Who are Royal Guide Dogs Australia? Royal Guide Dogs Australia are the peak body for Australian Guide Dogs organisations. Guide Dogs organisations provide orientation and mobility services, including guide dogs, to people who are blind or have a vision impairment. providing opportunities for members to interact at a national level. Puppy raising: breeding and puppy preschool. Guide Dog training: identifying suitable dogs and undergoing a 20-week training program with an instructor. Graduation: testing dogs on their ability to be a Guide Dog. Working together: working to build trust with the handler. Retirement: transitions to becoming a pet, either with the existing handler or a new family. Should I donate to Royal Guide Dogs Australia? Royal Guide Dogs Australia present basic information that demonstrates they are trustworthy. They describe their board and how they are governed, and they are transparent with their finances. However, Royal Guide Dogs Australia do not provide any information to demonstrate they are effective. 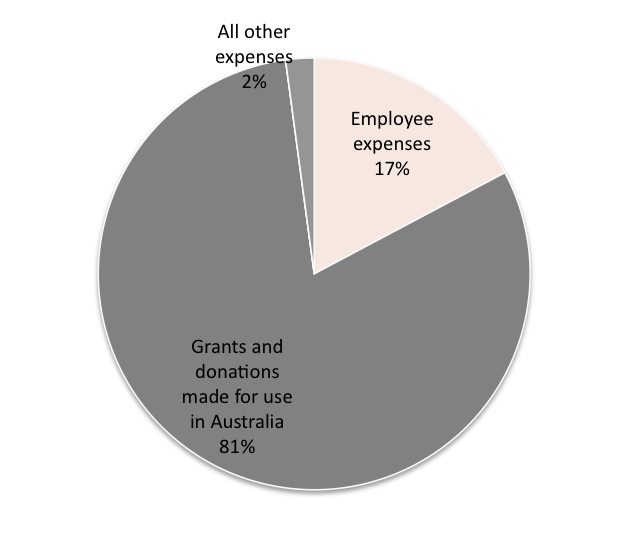 They promote themselves as the representative body for Guide Dogs Australia, but other than redistributing donations, it is not clear what they have achieved (despite spending more than $250,000 per annum on employees). It is not clear what their strategy is, what their results are, how or if they evaluate their performance. evaluations of the effectiveness of their work. We have investigated the finances, operations and results of Royal Guide Dogs Australia and present our evaluation in a report that you can download now. This evaluation shows you how your donation is spent, who is running the organisation and whether there are any potential conflicts of interest. It also examines whether the charity can demonstrate that they are delivering meaningful results. Finally, it contains our recommendations for potential donors and the reasoning behind them. Download our complete evaluation of Royal Guide Dogs Australia below to find out if they're the charity for you. Find out whether Royal Guide Dogs Australia is the charity for you. In this evaluation we describe what this charity does and why, what you should know about them, how your money is spent, who is running the organisation and whether they deliver results. Last of all, we recommend whether you should donate to them based on the findings of our analysis.